Good first impression, but still no name. 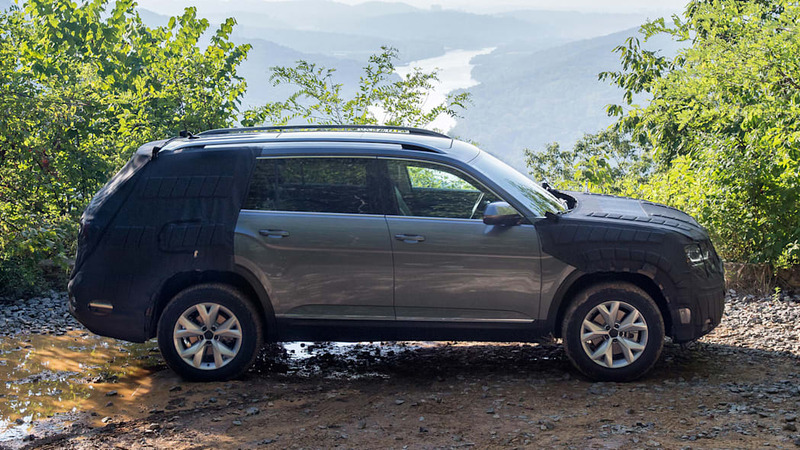 Volkswagen needs an image makeover in the United States. Right now, it's known for making small cars and crossovers. Some of them have weird names and/or spew toxic diesel fumes. Americans aren't big fans of either of those things. 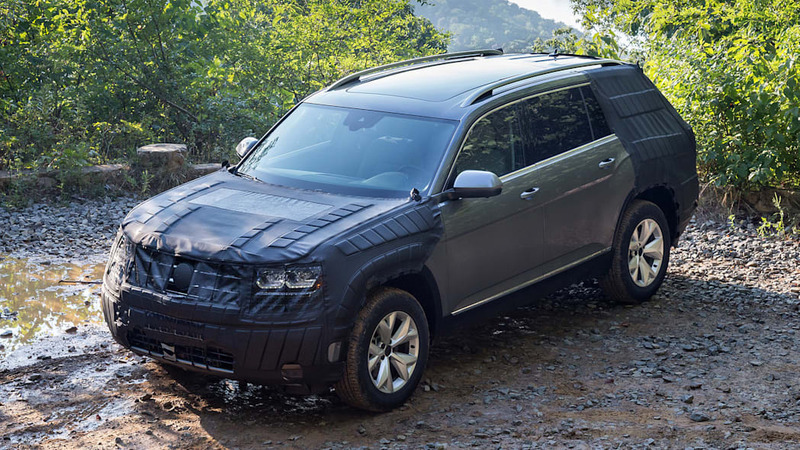 VW, however, has a perfectly timed solution: a three-row sport utility vehicle built in Chattanooga, TN. 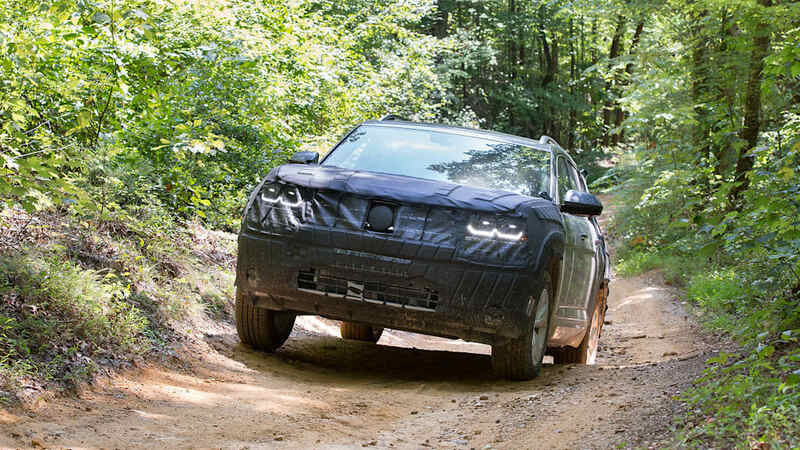 It will have a strong V6, all-wheel drive, and a name (still not revealed) that the company promises will resonate with US buyers. Now we're talking. 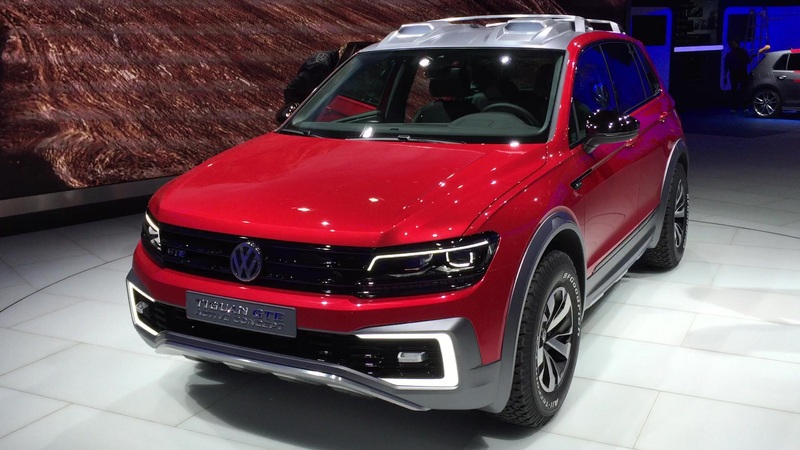 The SUV has been in development for years, as evidenced by the CrossBlue (2013) and the Cross Coupe GTE (2015) concepts, but its production launch in December gives VW something that directly aligns with the needs of American families. It's also a reason to talk about something not related to the diesel-emissions situation. VW badly needs to move away from the nearly year-long scandal that soiled the image of its signature technology. 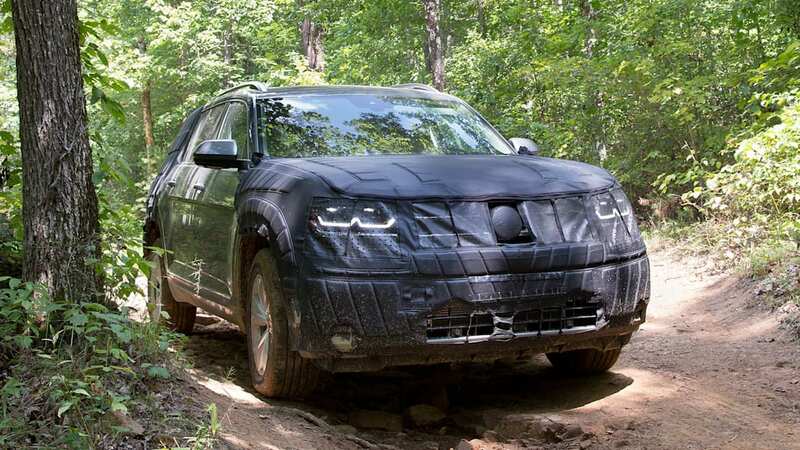 This SUV gives Volkswagen a fighting chance for change. Critically, the new vehicle appears to be well-done. 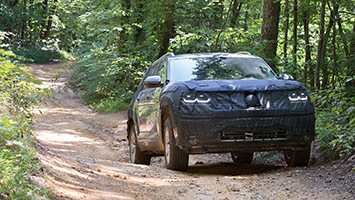 We tested a pre-production model on an off-road course in the scenic Prentice Cooper State Forest about 10 miles west of Chattanooga. 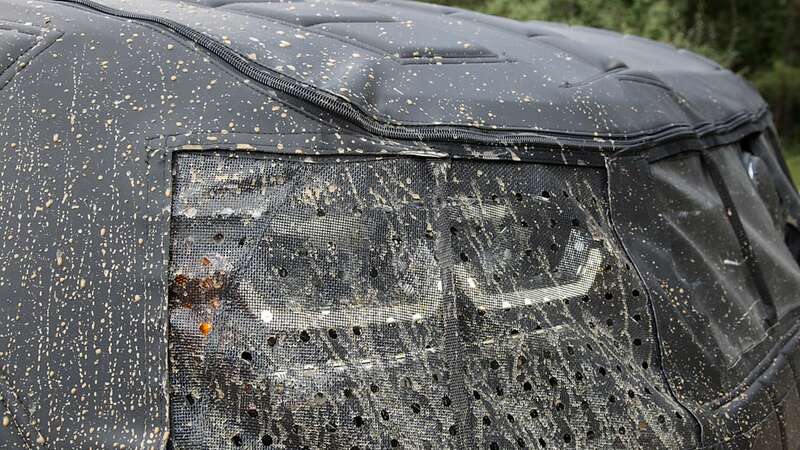 The ute was heavily covered in black wrapping inside and out, and the company still isn't releasing specs, so our first experience was fairly limited. 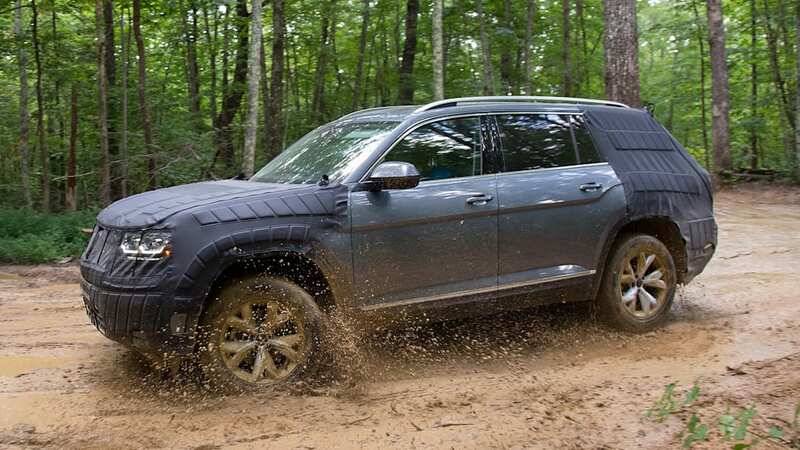 But, after a half hour behind the wheel, we can tell you this three-rower has the confidence and demeanor of its future rivals, like the Honda Pilot, Chevy Traverse, Toyota Highlander, and Ford Explorer. 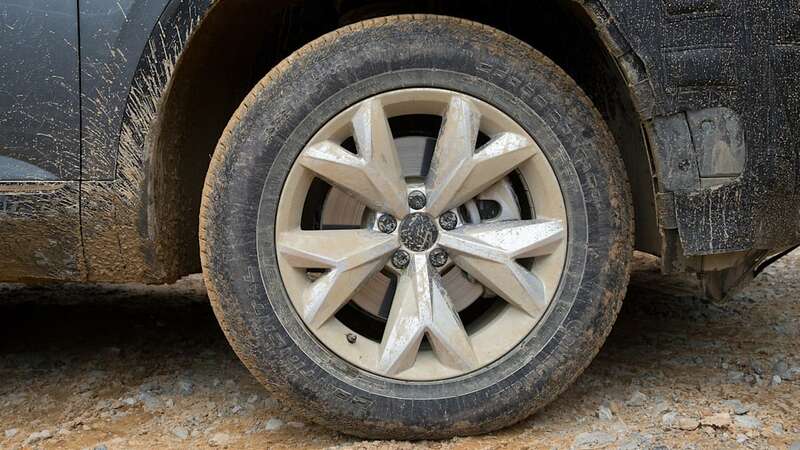 We tested the likely bread-and-butter V6 model with an eight-speed automatic transmission and 4Motion all-wheel drive. 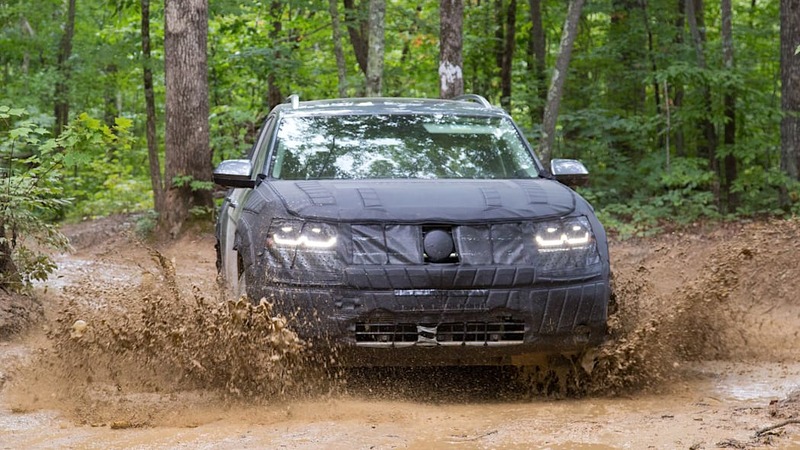 This 3.6-liter unit makes 280 horsepower and 258-lb-ft of torque in the Passat sedan, though we expect more juice under the hood of the ute. It felt capable as we took off through the forest, rocks and dirt trailing in our wake. The engine sounded good and the shifts were smooth, though we maybe hit 45 miles per hour. Even during the roughest patches, including one moment where a steep hill tossed the front end upward dramatically, the vehicle was not fazed. 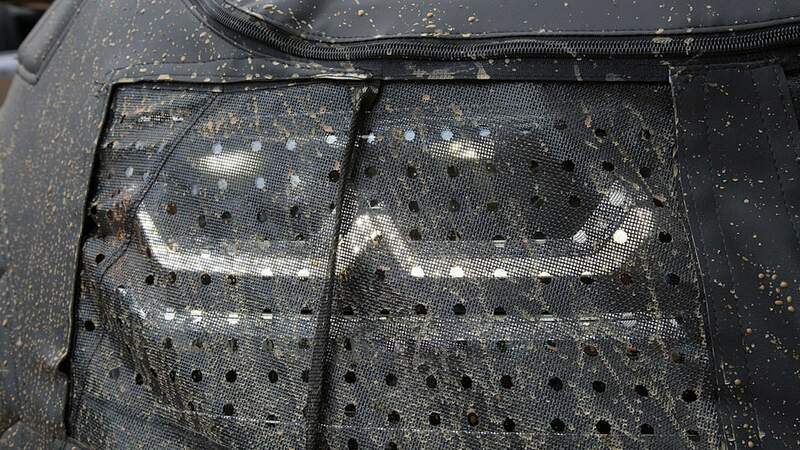 We splattered mud, smushed through the dirt, and pretty much had a fun little adventure. Visibility was excellent thanks to the thin A-pillars, though we still managed to rip off some small tree branches in the deeper parts of the trail. There were several driving modes, which are operated via a circular knob in the center console. Naturally, we used off-road for most of our drive, and its hill-descent feature modulated the powertrain as we crept down a bumpy slope. We did pop it into sport mode on the way back to the trailhead. 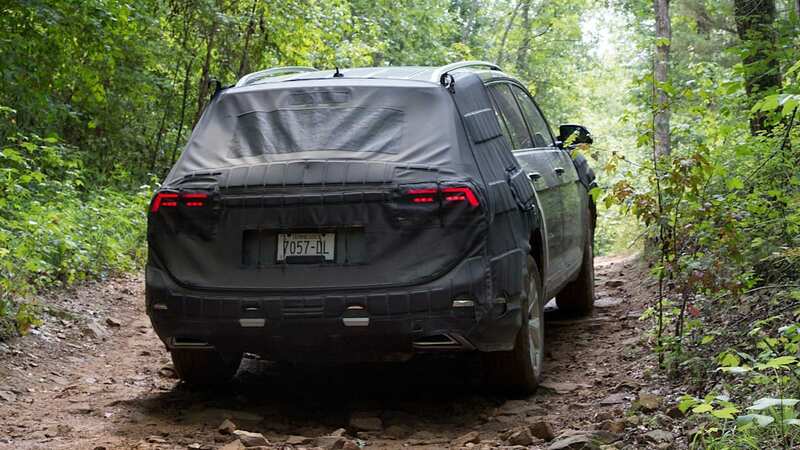 The vehicle felt a little livelier as we crunched over a gravel trail, and the steering grew heavier. 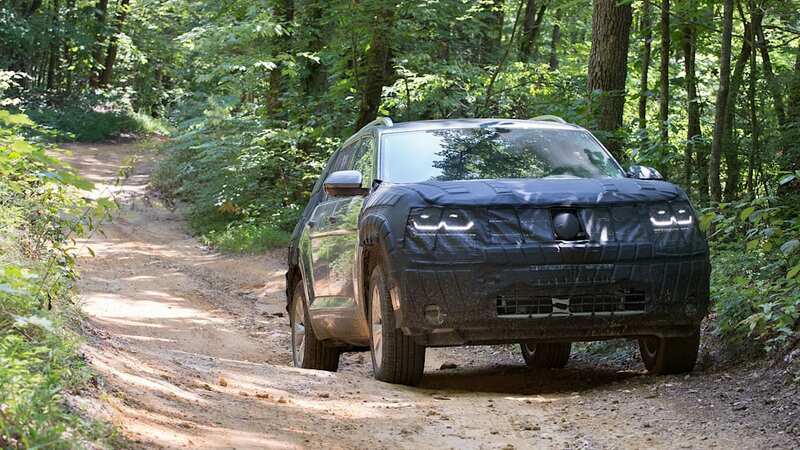 In the off-road setting, the steering was very light, though that's the idea for slow speeds. Once we drive it on real highways and surface streets, we'll have a clearer picture of its all-around dynamics. 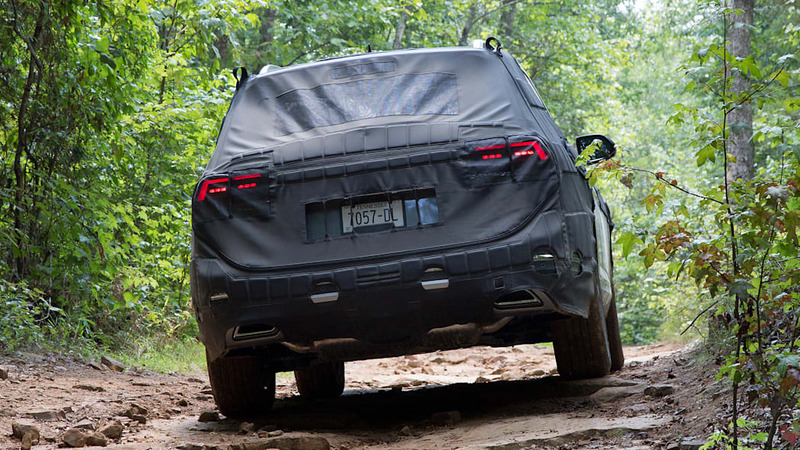 The cabin offered an upright view of the road – exactly what Americans want in this segment. The infotainment system had a crisp LCD touchscreen and looked slick, and the panoramic sunroof is sure to be a popular feature. We sat in the second and third rows, which were comfortable and offered ample head-and legroom for a 5-foot-9 Autoblog editor. 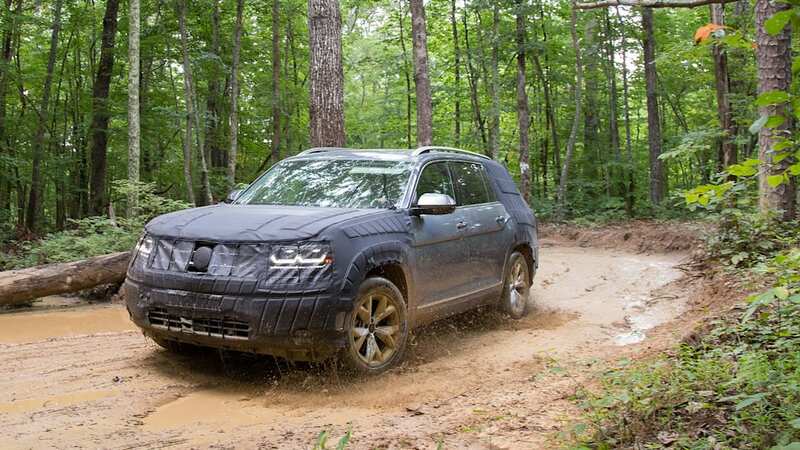 Taller Volkswagen executives, like the company's 6-foot-4 North American chief, Hinrich Woebcken, also appeared to fit reasonably well. Clad in a white dress shirt and blue pants, he maneuvered into the back easily. "You can really travel long distances in the third row," he said. 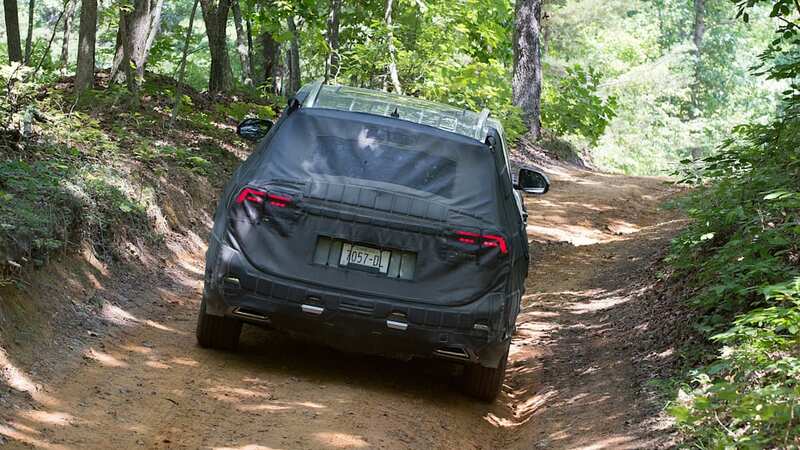 The seats can fold forward and move on rails to ease entry, another selling point, and they can also be adjusted even with car seats still strapped in. 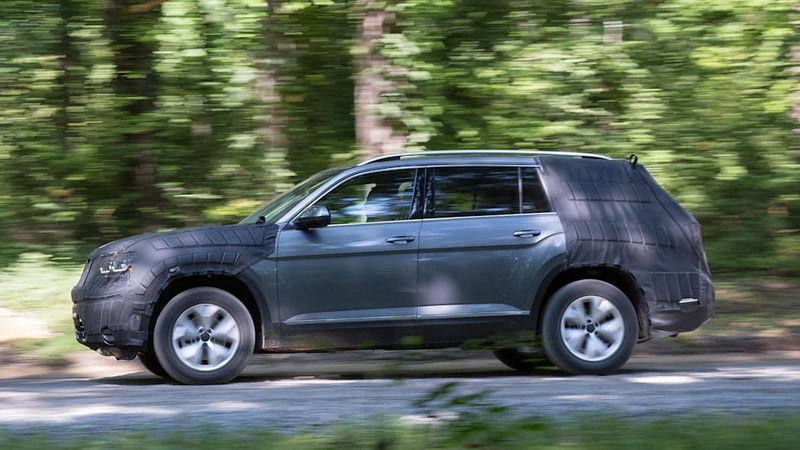 VW was coy about trim levels and pricing, which it said will be competitive for the large utility segment. 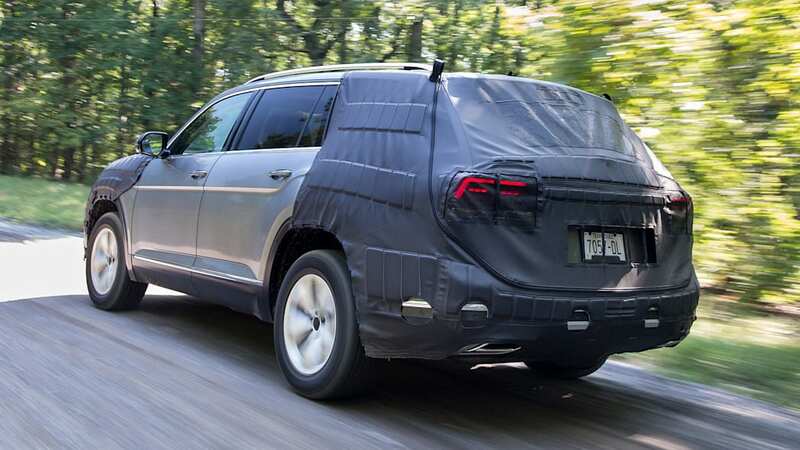 But based on numerous conversations with its executives and product team, we were able to piece together a picture of the new SUV. 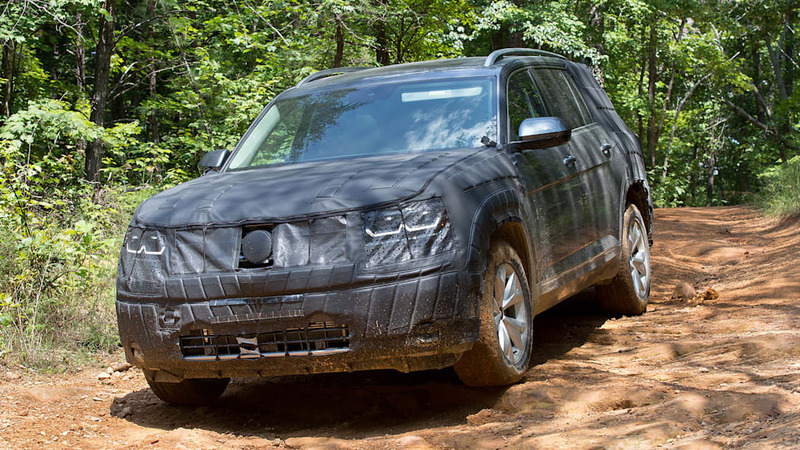 It will offer LED lights across the range and there's a prominent grille with horizontal brightwork. 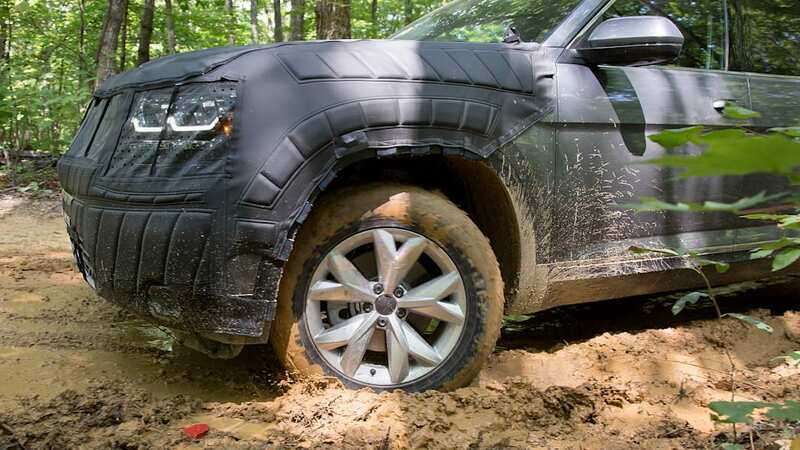 Our tester had 18-inch wheels, and the exterior design featured strong lines on the side, vaguely reminiscent of the Explorer. 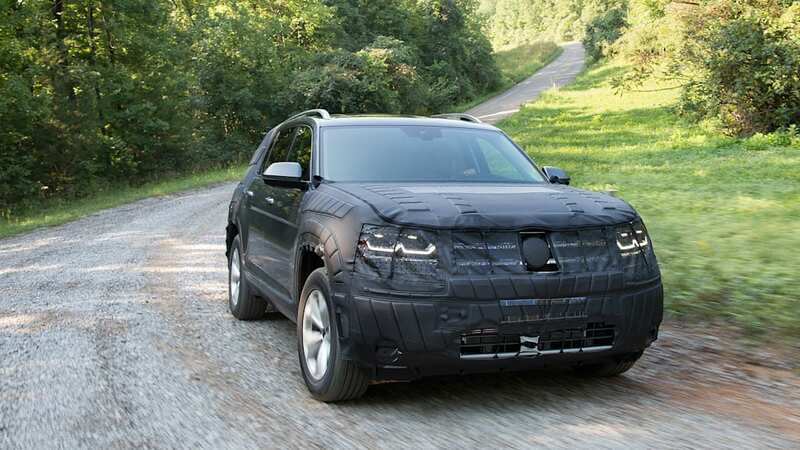 It will have 17 cupholders, according to an exec who counted while we examined a prototype inside the Chattanooga engineering center. 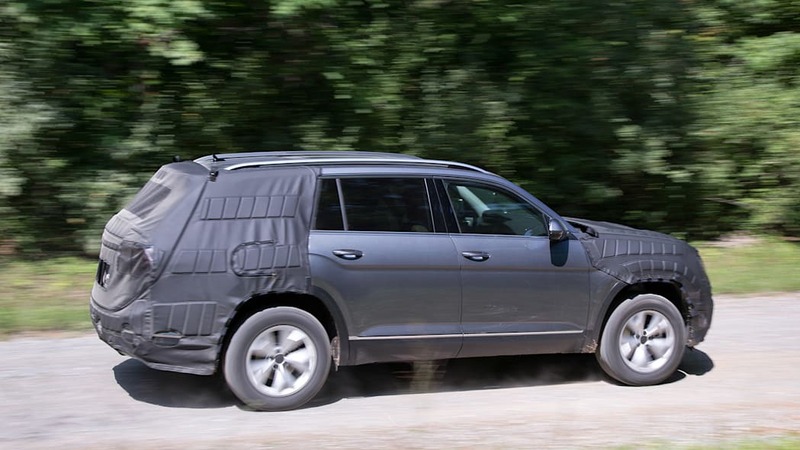 Safety features will include a 360-degree overhead camera, adaptive cruise control, blind-spot detection, and pre-collision braking. 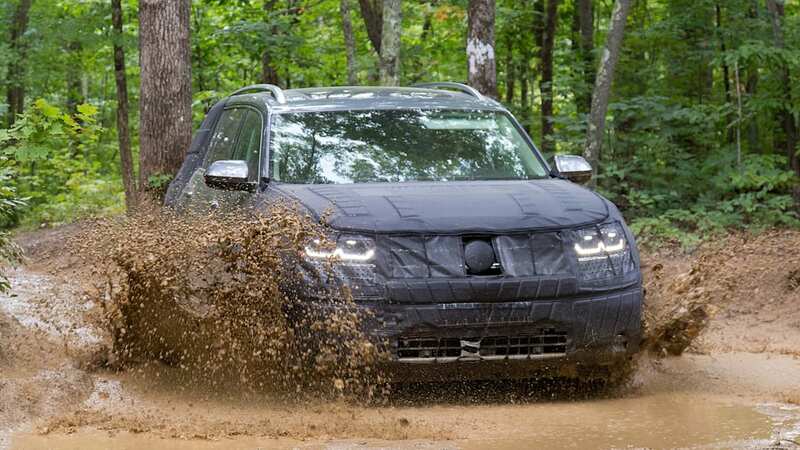 "You're going to see a lot of features in the car that are typically reserved for premium SUVs," Woebcken said. 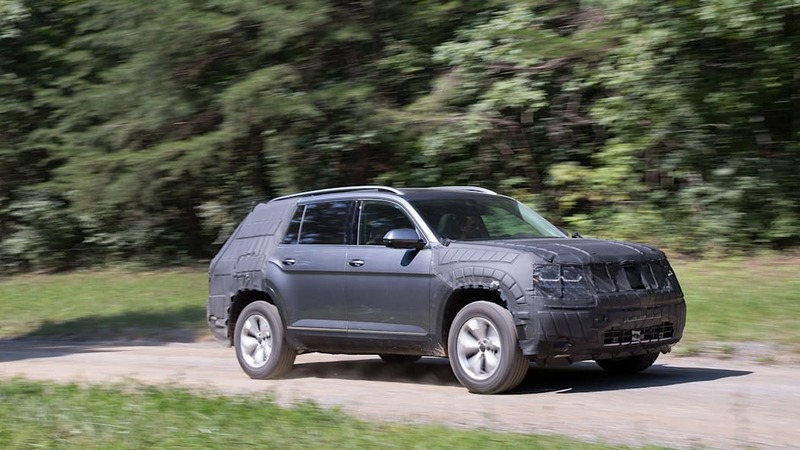 VW will also offer a turbocharged four-cylinder engine and a front-wheel-drive version. 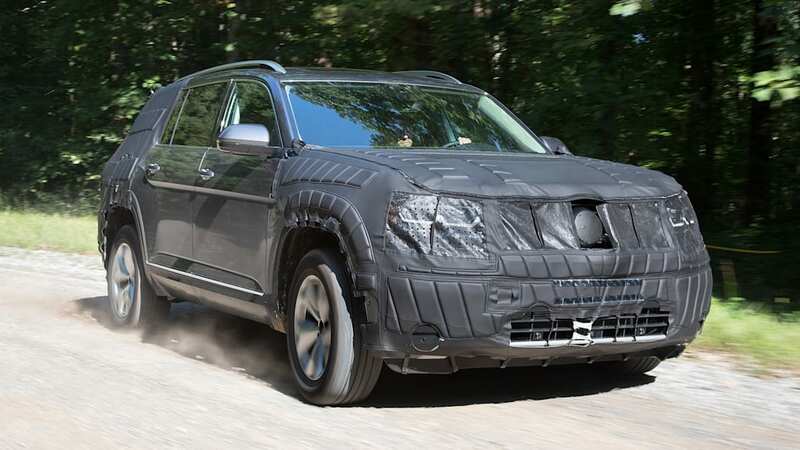 Based on the company's widely used MQB platform, the ute will likely spawn off-shoot models, like a five-seat coupe-styled SUV. 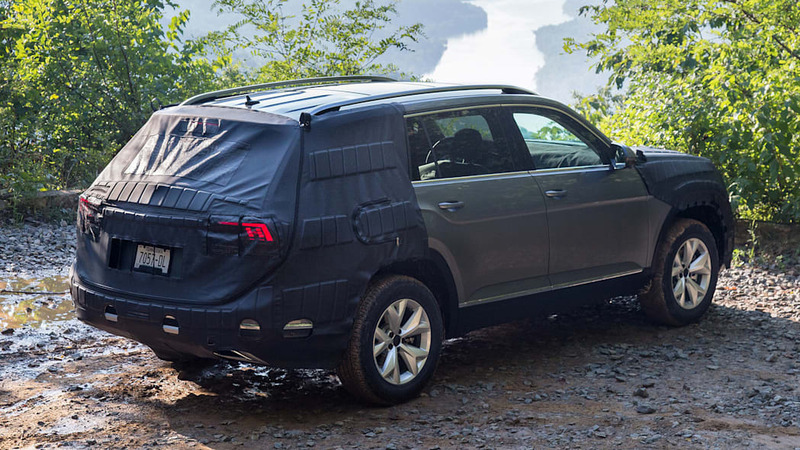 This is part of Volkswagen's strategy to expand its SUV portfolio; the smaller Tiguan will get a three-row variant in 2017. 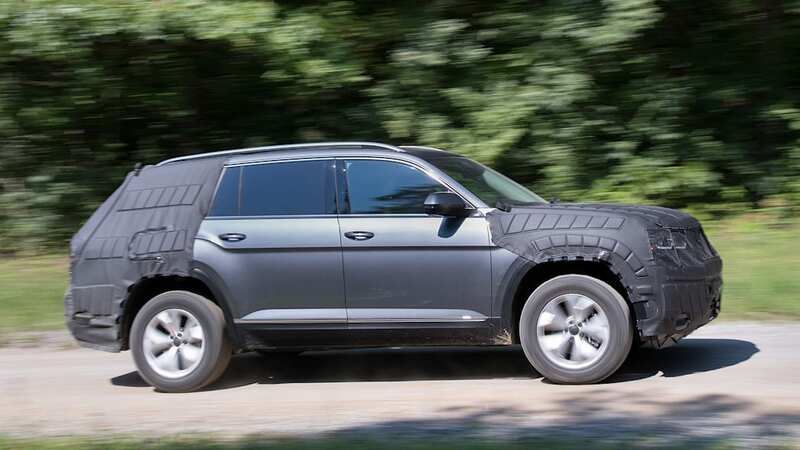 VW is also considering a smaller crossover below the Tiguan. 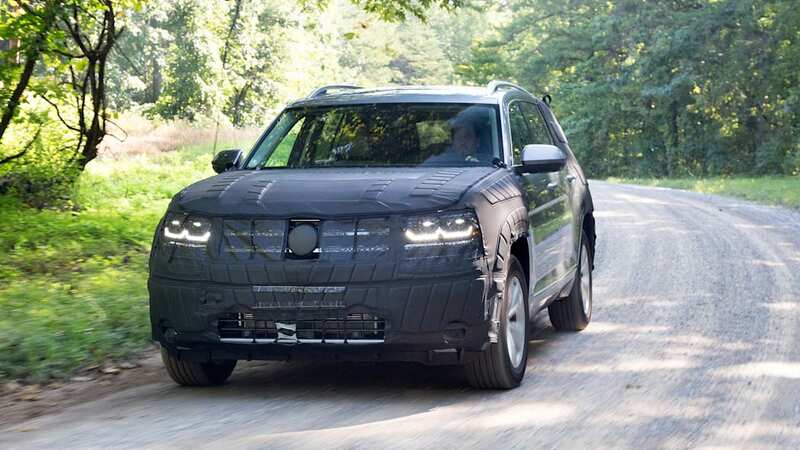 Longterm, the company will look to electrification to make its SUVs more fuel efficient, which is a natural progression as it moves away from diesel technology. 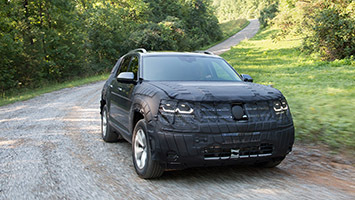 A strong SUV built in the United States and designed with American customers in mind seems like a solid start. As Woebcken put it, "This product symbolizes the relaunch of the brand after TDI. We want to be proud again and relevant in the market."